Staurolite is an extremely hard, insoluble mineral formed from iron magnesium aluminum silicate embedded in a matrix of schist, mica & muscavite which is what makes it sparkle. 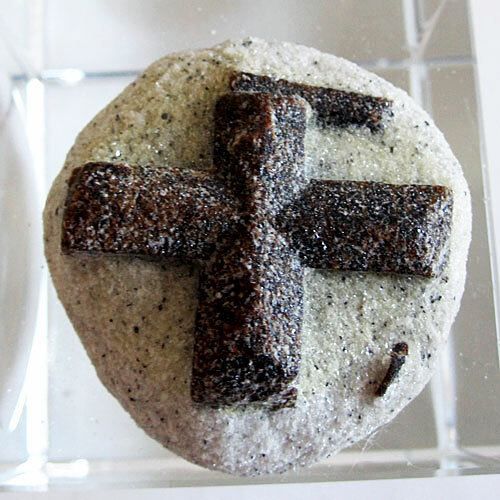 The name Staurolite comes from the Greek words stauros (cross) and lithos (stone) meaning stone of the cross. Staurolite is known as the Fairy Stone or Fairy Cross, and was said by some to be the crystallized tears of fairies, bereft on hearing the news of Christ's crucifixion and death.Read more about Staurolite in the Crystalpedia.